LOS ANGELES -- University of Southern California President C.L. 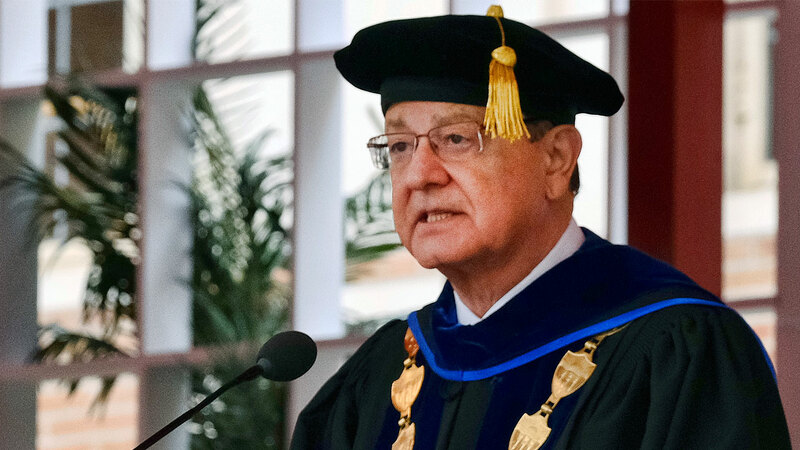 Max Nikias has agreed to step down amid public outcry over the handling of sexual misconduct allegations against a former campus gynecologist. The USC Board of Trustees sent a letter Friday to faculty, staff, students and alumni to confirm that Nikias will be replaced as president. "We have heard the message that something is broken and that urgent and profound actions are needed," the letter stated in part. The statement went on to say that both the board and Nikias agreed to "an orderly transition" and begin the process of selecting a new president. It was not clear when Nikias would be stepping down. "Our focus remains on offering support and counseling to those impacted, investigating what happened, and listening to and healing our community." Multiple women have filed lawsuits against the school since allegations against Dr. George Tyndall came to light. A 2016 internal investigation found Dr. George Tyndall had conducted inappropriate pelvic exams and made sexually offensive remarks to patients. The university did not report the matter to the state medical board. Earlier this week, USC's Academic Senate passed a motion calling for Nikias to step down.